/General Questions /How do I find matching items? 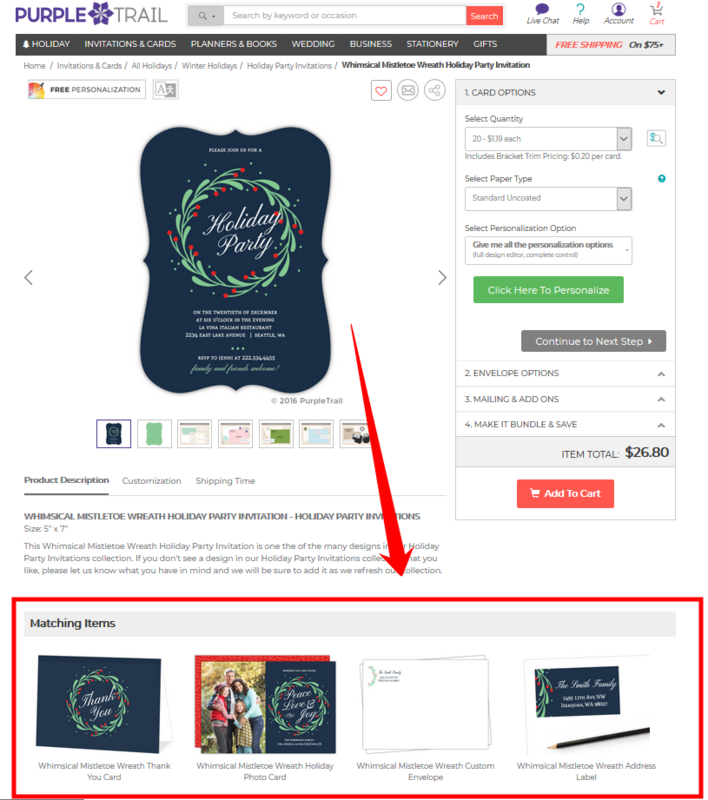 To find matching items for a card or invite, scroll down to the Matching Items section below the Card Preview section. Not all cards or invitations have matching items, but if they do, they’ll be there.